Material: LEGO 3in1 creator kits. The product description is in one part of the room, PO and DevTeam in the other. 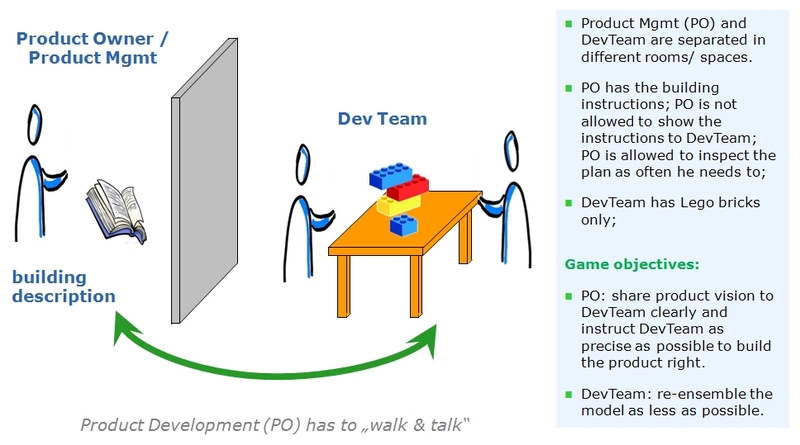 PO is not allowed to show it to DevTeam, but can inspect the plan as often it’s needed – PO has to “walk & talk” – real challenges for traditional-minded product development departments. Expierence waterfall- vs. agile driven product development project.